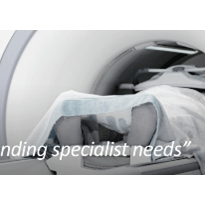 Hospital equipment maintenance has always been the lifeline of any medical operation. As medical facilities, especially hospitals are highly regulated. All Assets need to be maintained to the highest possible operating condition. One that complies with health authority's guidelines. 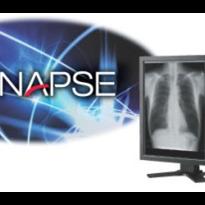 The operation of equipment within the healthcare system is vital. Just one critical asset breakdown can result in loss of life or result in other serious complications. Complications that could lead to legal action and serious ramifications. Therefore their maintenance, and the monitoring of this maintenance has to be of the highest standard, recordable and transparent. The team at MEX understand this and have developed a system capable of managing such a critical maintenance operation. How can MEX help hospital or healthcare asset and facility management? The Asset register structure can be recorded in a geographical structure, making it easy for users to locate asset locations. 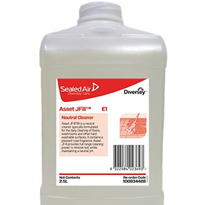 Vital when dealing with call outs on asset breakdowns in a large medical facility. Record comprehensive details for your assets. 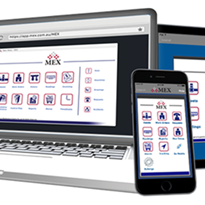 From parts lists, supplier details, warranty information etc… All assets in MEX can store ample amounts of information. 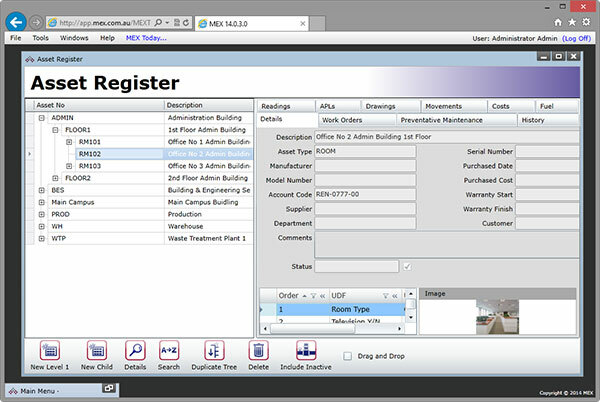 Users also have the ability to create specific User Defined Fields on the Asset to capture extended information. 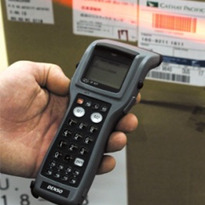 Ensuring that any required asset details can be identified by accessing the assets details. 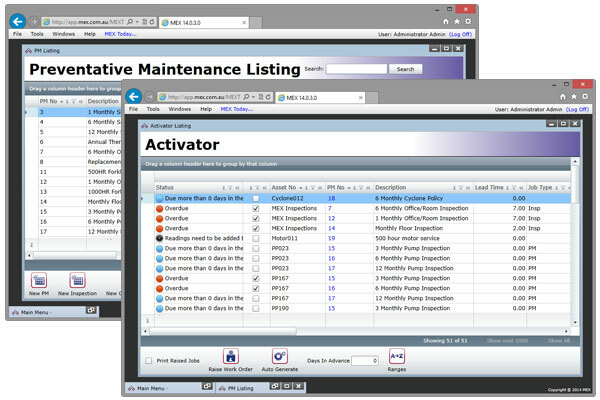 The MEX preventative Maintenance module is a comprehensive tool for scheduling work and inspections. Schedule based on required frequency types can be pushed out periodically with a full task list, trades required and spare parts required for any repetitive jobs. Ensuring that critical checks on life saving equipment are done on time, every time. User can easily submit maintenance job requests using the MEX Ops tool. Reducing the impromptu requests made by staff to the maintenance team, allowing them to devote their time more efficiently to the maintenance of critical assets. All work and job details are captured within the MEX system, and any closed work is saved into history. Easily accessible for auditing purposes. Users who do receive the work order, know what to do, what parts to use and can record exactly what work they performed on particular assets. 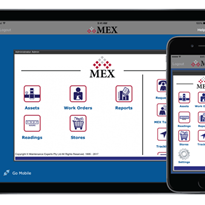 MEX has the ability to store any related documents alongside work orders and against assets themselves. 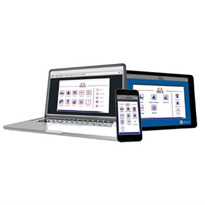 Allowing for manuals, safety notes and links to online resources to be easily accessible when required. 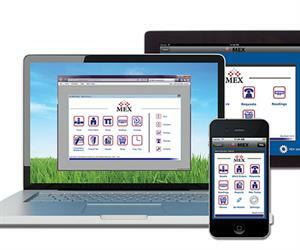 With over 200 reports in the MEX system, users can easily report on all data recorded in the system. From Costs of repairing assets, to inventory stock lists and usage details. Reports can also be created within MEX to provide the exact data that management is after. List all parts within the MEX System. Associate these parts with specific assets and keep an eye on the stock numbers with the stock take module. Note that inventory is sold as part of our Stores module. 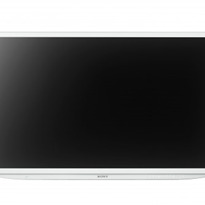 Please contact MEX sales for more information. 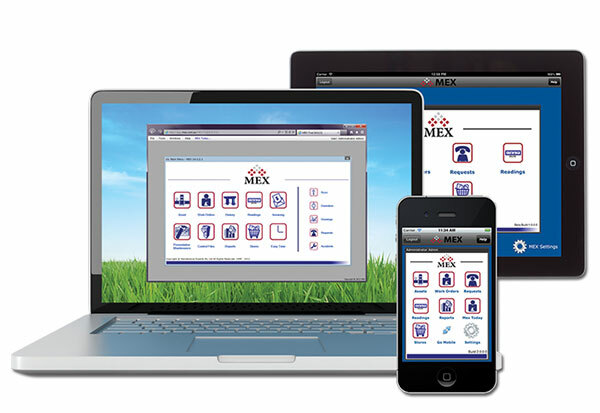 By implementing the MEX Asset Management Software you could save up to 30% of your operating and maintenance costs. Having an in depth system will also allow management to evaluate procurement of new assets or continue maintaining existing assets.